Anyone who's seen the classic film The Wizard of Oz remembers a couple key things about the Land of Oz. First, water makes witches melt, which seems like a very inconvenient weakness. If we were wicked witches, we'd spend all of our extra cash on really good rain ponchos. The second thing is that if you find some red shoes, they might be magic, and could possibly be used to transport you home if you know the right way to activate them. 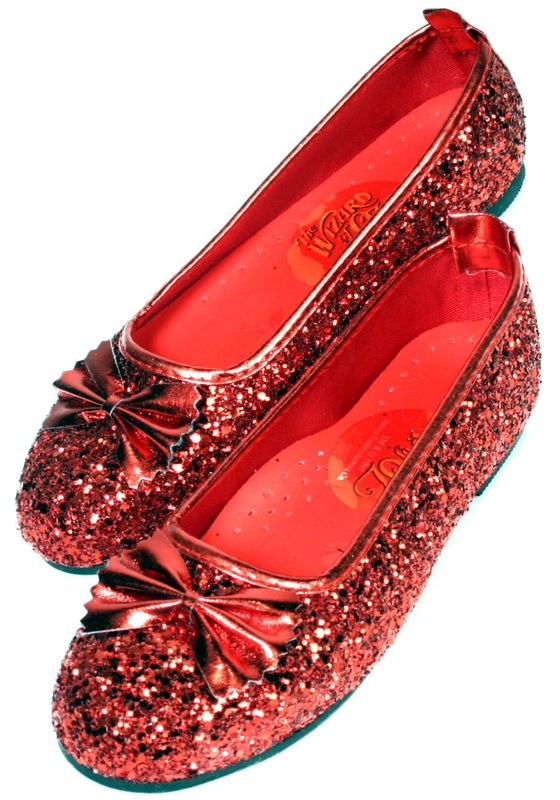 If your little one is dressed up as Dorothy for a wonderful imaginary trip through Oz, she's going to want these Ruby Red Slippers for the journey! Sadly, these adorable shoes don't contain any magic powers, but they do look just like the ones Judy Garland wears on the big screen, which is still a pretty magical look. They go great with a Dorothy costume, or for saying “There's no place like home,” any time of the year!